Some of the most poisonous animals on the planet are found down under. 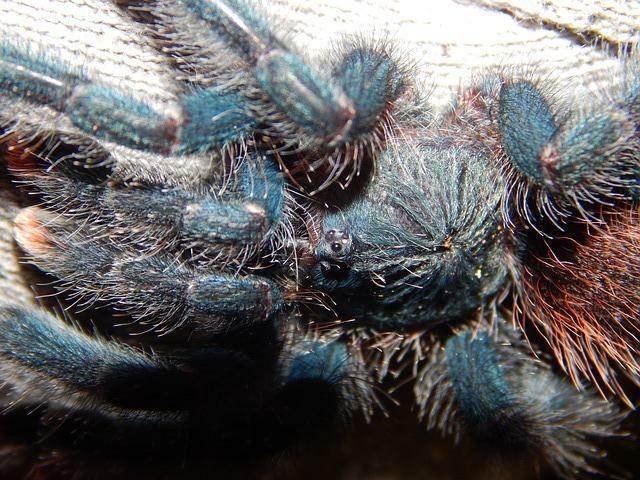 Australian researchers retrieved exciting new data when taking a closer look at spider venom. Biosynthesized chemicals designed to be highly reactive with other organisms could inspire new drugs and, eventually, an entire new class of painkillers. It can be defensive but the function of spider venom is often to incapacitate or kill prey. University of Queensland academics released their findings in The British Journal of Pharmacology, after they isolated seven unique peptides found in certain spider venoms that can block the molecules that allow pain-sensitive nerve pathways to communicate with the brain. One of the pepetides originated in the physiology of a Borneo orange-fringed tarantula. That peptide possessed the correct chemical structure, combined with a stability and effectiveness to become a non-opiate painkiller. 15% of all adults are in chronic pain, according a study published in 2012 Journal of Pain. Most readers are already aware of the danger of addiction and lagging effetiveness of opiate drugs like morphine, hydrocodone, oxycodone. The medical community is hungry for a change in available medications. Opiates are all derivatives or inspired by opium plants which have been tried and tested for centuries. Venomous spiders are difficult to study but the motivation for new drugs has loosened funding with the help of promising finds like this one. “Spider venom acts in a different way to standard painkillers,” ~ Dr. Jennifer Smith, research officer @ University of Queensland’s Institute for Molecular Bioscience. While cessation from pain might in itself create an addictive reaction, this venom is promising, according to Dr. Smith, because it blocks the channel through which the pain would even reach the brain. Opiates merely block the widespread opioid receptors in actual brain cells, deep within and in the surrounding nerve tissue of the brain itself. What’s the mechanism of action for this spider-drug? Some people are born with a rare genetic defect that renders them unable to feel pain. Geneticists identified the human gene responsible, known as SCN9A. Dr. Smith hopes the peptide will enable the cells of a human without the defect to shut down part of the DNA that manifests this immunity to pain. There could be other breakthroughs in medicine and chemistry. The findings are awesome in the Australian project but those researchers only documented findings of roughly 200 out of 45,000 known species of spider. Out of those 200, 40% contained peptides that interacted with the way pain channels communicate. The next step would be to test the painkillers on animals. “We’ve got a massive library of different venoms from different spider species and we’re branching out into other arachnids: scorpions, centipedes and even assassin bugs,” said Dr. Smith.